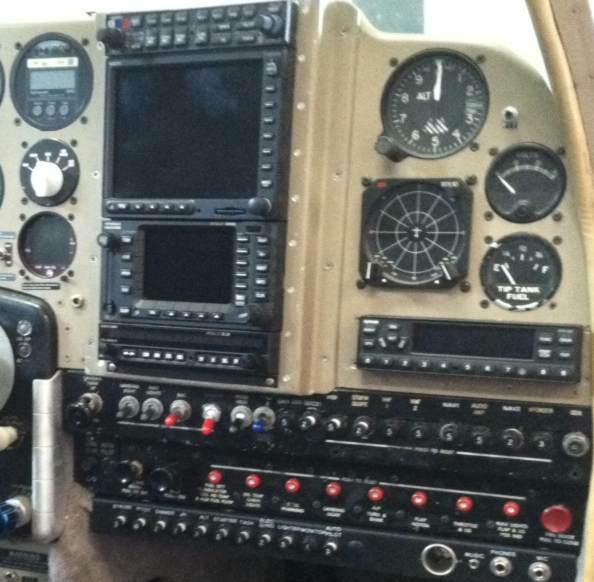 When I started contemplating an avionics upgrade for my 1961 Beech Debonair, I knew the task would be daunting. A quick look behind the panel showed years and years of multiple installs with accompanying splices, tags and loose wires resulting in a real rat's nest. My selected equipment package would require interfaces between both modern and legacy equipment, so what was I to do? After doing extensive research, I came across the Approach Fast Stack system and after a few phone calls to Tim, I knew this was the system for me. Tim walked me through the process, not only explaining how Fast Stack works, but advising me on equipment selection, helping me select a local installer who also provided me Garmin equipment at a fantastic price. The clincher was Tim's fantastic attitude and willingness to be honest, professional and open to all of my questions. When the time came, the ordering was painless and the hub and harnesses arrived promptly along with complete documentation and full schematic drawings. My avionics installer had already cleaned out the old equipment and wiring, so the final installation was accomplished in about half the time of a conventional installation due to the completeness and compact nature of the system. At the rate my guy charges, that's a lot of money! The system works flawlessly; the equipment works together in ways I never dreamed possible. All of the major and minor interface connections are utilized by Fast Stack and the final installation provides all the capabilities available by all the components, things that I didn't even know they could do together. The documentation provided was a great help during training and FAA certification. When all was said and done, I ended up with a net savings in installation time, cost and weight as well as future flexibility when I upgrade components. 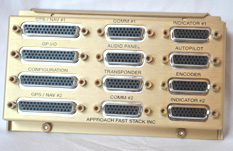 I highly recommend the Fast Stack system for anyone performing an avionics upgrade. The Approach FastStack Hub is one of the greatest things you can put in your aircraft and then rarely ever look at. I installed a Pro Hub in my Beech during a panel upgrade and cut the expense, time and hassle of the wiring by better than 50%. 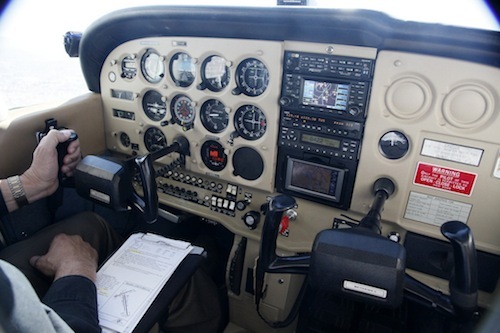 This system is as close as you can get to plug 'n play for our general aviation avionics. The hub and cables are of the highest quality, they are the type of items you would expect to see in a business jet. A complete interconnect diagram, owner/install manual and cable test results are supplied with each hub and cable. Tim Hass and his team are extremely knowledgeable about the avionics both new and old in GA aircraft today. They answer questions quickly and support their product 100%. One of the best features is the ability to troubleshoot any issue simply by unplugging a cable and testing the cable or pins in the hub. Tracing wires, looking for bad crimps and soldered connections becomes a thing of the past. It's about time GA aircraft move into the present and the Approach FastStack is one of the best systems to help do it. 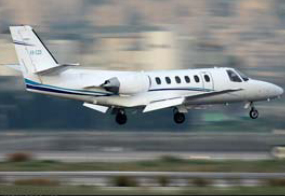 "Thank you for making our Citation avionic installation so fast and easy. With the wiring harness you prepared for us and your professional over the telephone assistance, we were able to complete the entire avionics installation during the phase V maintenance of the aircraft. We are very pleased with the avionics installed and the complete integration with the aircraft system. The harness made all the difference and offered a quick turn around time to return our aircraft to service." Garmin GNS530, Garmin GNS430, Dual Garmin GTX330, Garmin GMA340, Garmin GAD 42, Avidyne EX500, RDR2100, Systems integration with Dual autopilot and flight director, dual airdata computers, dual DME, VHF22C, and Dual ADF. ~Danny Dannerberg, Aviation Bridge, LTD. I started building an experimental aircraft about 18 months ago and right at the beginning I knew I was entering the world of experimental as some consider it "trial and error". As I was building, I knew what I wanted for my instruments but also realized that getting all of them wired together was going to be a challenge. During the course of building, I dealt with a number of parts & service providers and most have been fine to work with but how refreshing it is when you are promised some thing and delivered exactly what you were told, the first time. This has been the case with Approach Fast Stack and their product and services. Super knowledgeable staff, friendly, always available, and every thing worked exactly as promised. Their prices are very competitive; the quality of work, documentation, and post-sales service has been unmatched. Tim Hass and his crew have delivered what they promised and more. My entire system is working without the smallest issue and I especially love the flexibility that is inherent in his system. 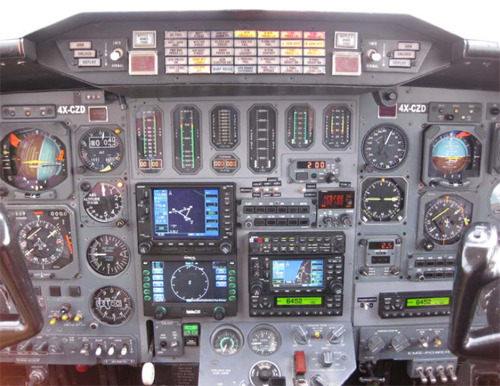 Since flying, I have added more systems to my instrument panel and it has been basically "plug and play". Many thanks to Tim and his staff . I wanted to take a moment to thank you and your team for the great job you did in completing the wiring FastStack, and ProX Hub for my Cessna 172N model. What a great product, the package you folks provided made the installation very straight forward leaving us only power, ground and lighting hook-ups to deal with. With the jumpers handled in the hub and the entire harness designed to fit correctly for my installation; the mod couldn't have gone smoother. I would also like to personally thank you for the rapid responses to my barrage of e-mails and questions…many of which were not related to the FastStack but greatly assisted us with the installation. 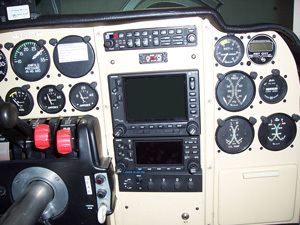 Attached is a picture of my aircraft with the completed avionics stack.